A few folks have been asking for more details about the Factions in Dracula's America: Shadows of the West - so here goes! First off, it's important to note that as Posse construction is pretty flexible in terms of the Skills, weapons and gear you can give to your models, it's actually possible to choose any Faction you like and have them play to your favoured tactics- for example, a Red Hand Coven Posse could be tooled-up for close-quarter firefights with a mix of dual-wielding pistols, shotguns and sawn-offs; or play the ranged game equally well, with lots of carbines, rifles and buffalo guns! A secret society of monster-hunters whose origins date back to the Crusades, the Order has followed its nemesis – Dracula – to the New World. Since arriving, they have had to adapt their hunting methods to the lawless frontier (though not without considerable friction between the staunch European traditionalists and their headstrong new American recruits) – it is not unusual to see pistol-wielding Crusaders wearing sturdy breastplates beneath their dusters alongside a grim-faced Templar in full plate armour and wielding a blessed greatsword. In the game, this Faction gets two fearless Crusaders kitted out with armour and with silver bullets loaded in all of their guns. Although slow when on foot, they are incredibly resilient to enemy fire and excel at facing down all kinds of horrific beasts and calmly despatching them in short order. As if that wasn’t enough, an Arcanist of the Order can summon a Seraphim – awe-inspiring winged entities that wield twin blessed silver pistols. All in all, the Twilight Order does what it does very well – kill monsters! 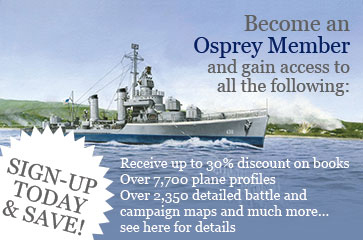 To see the miniatures available for the Twilight Order, head over to the Northstar Military Figures website. Dracula’s vampiric minions can come from any walk of life, and their Posses feature townsfolk, desperate outlaws, conscripted Union soldiers, and even rich and well-to-do folks from back East. The most important vampire leaders (called Broodsires) are often protected during daylight hours by a member of Dracula’s own elite Carpathian Guard, who still wield their fearsome two-handed woodsmen’s axes. To see the miniatures available for the Red Hand Coven, head over to the Northstar Military Figures website. A loose confederation of Native American tribes, the Skinwalkers are guided by the hand of the mysterious Shaman known only as White Raven. They are united by a common goal – to restore the balance of Nature that has been upset by both Dracula’s evil and the unthinking greed of the settlers encroaching upon their lands. They are aided in this by the re-awakening of ancient abilities to transform into powerful beast forms! 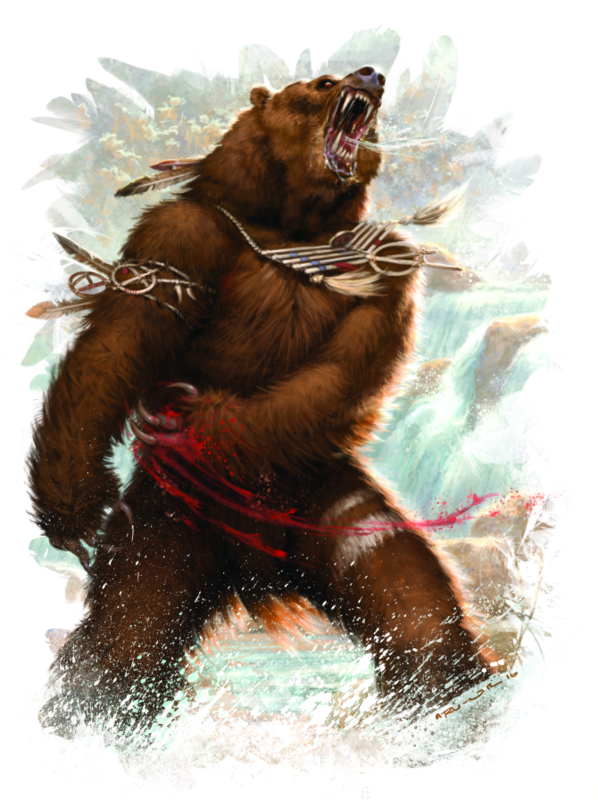 In the game, Skinwalker Tribe Posses are granted two Skinwalkers, and each must choose a beast form – either wolf or bear. The wolf is fast and savage on the attack, while the bear is slower but capable of inflicting massive damage with its huge claws and a brutal bear-hug. 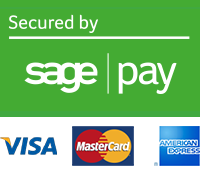 Whichever you choose, both forms excel in close combat. A Skinwalker Arcanist can summon a Wendigo to fight for them – this feral, cannibalistic spirit is a pretty mean fighter, but it gets even meaner when attacking a wounded enemy, as the scent of fresh blood drives it berserk. To see the miniatures available for the Skinwalker Tribes, head over to the Northstar Military Figures website. A Crossroads Cult Posse is led by a Magister with the ability to summon a variety of terrifying Abyssal entities during play, allowing for unexpected reinforcements where needed, or providing expendable minions to further your plans. They also get a Harbinger, an Abyssal/human hybrid, who is the real power behind the throne. 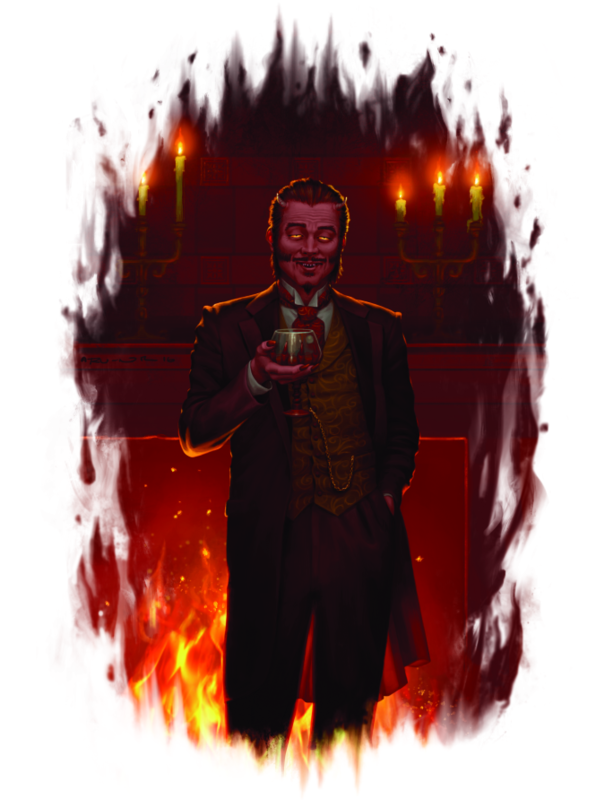 The Harbinger brings yet more summoning potential to the Posse, and boosts the Magister’s arcane abilities while he close enough to whisper infernal advice to his ‘master’. To see the miniatures available for the Crossroads Cult, head over to the Northstar Military Figures website. Born out of the ‘cold war’ that existed while the armies of North and South rearmed and regrouped following the bloody stalemate at Gettysburg, the Congregation is an eclectic mix of ex-slaves, fanatical abolitionists, and other desperate folk fighting to survive in the swamps of the South. Led by a council of houngans and mambos, The Congregation uses Vodouto call upon the aid of powerful spirits known as loa to fight a guerrilla war against the growing power of their greatest foes – the necromancers of the Dark Confederacy. In the game, The Congregation has access to tough and relentless zombi warriors who willingly choose undeath in order to continue the fight. These give the Faction excellent staying power in a campaign, as you can simply choose to have a valuable model come back from the dead (albeit at the cost of being able to improve further). 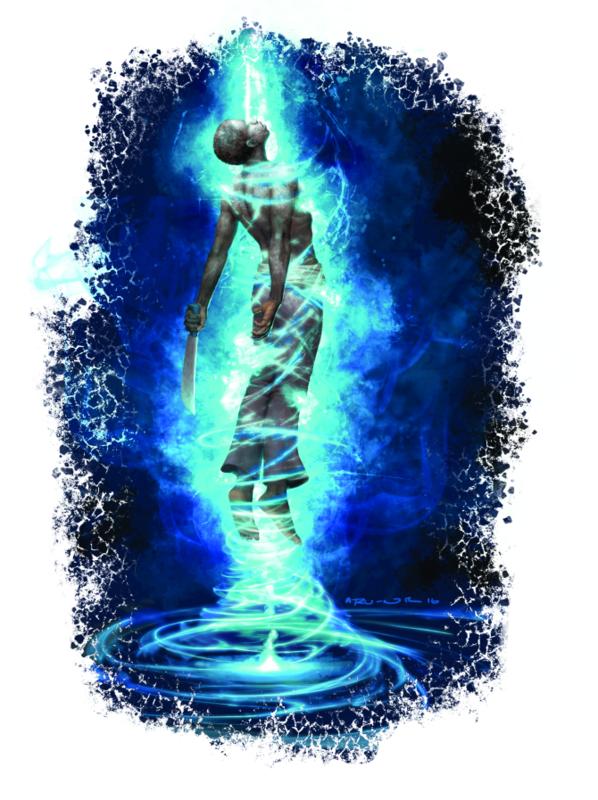 Congregation Posses can also field a Vessel – a chosen fighter that is possessed by a loa spirit before each game, granting them the power of flight and the ability to unleash blasts of arcane power upon their foes. Arcanists of this Faction can also summon a couple of unique creatures – the tough-as-nails mass of lumbering vegetation known as a Swamp Baka, and the skull-headed, fire-breathing Temple Snake. To see the miniatures available for the Congregation, head over to the Northstar Military Figures website. When the South finally surrendered, many hard-bitten Rebs, led by the charismatic (and completely unhinged!) Jebediah Crane, refused to give in and took to the hills and swamps to wage a guerrilla war against the hated Yankees. These bitter and desperate men tore the secrets of Vodou from a captured Bokor of the Congregation and twisted them to suit their own aims, raising Revenants from their graves. With this new-found necromantic power, the mad General vowed that the South would – quite literally – rise again! A Dark Confederacy Posse is always led by a Master Necromancer, one of General Craine’s inner circle. 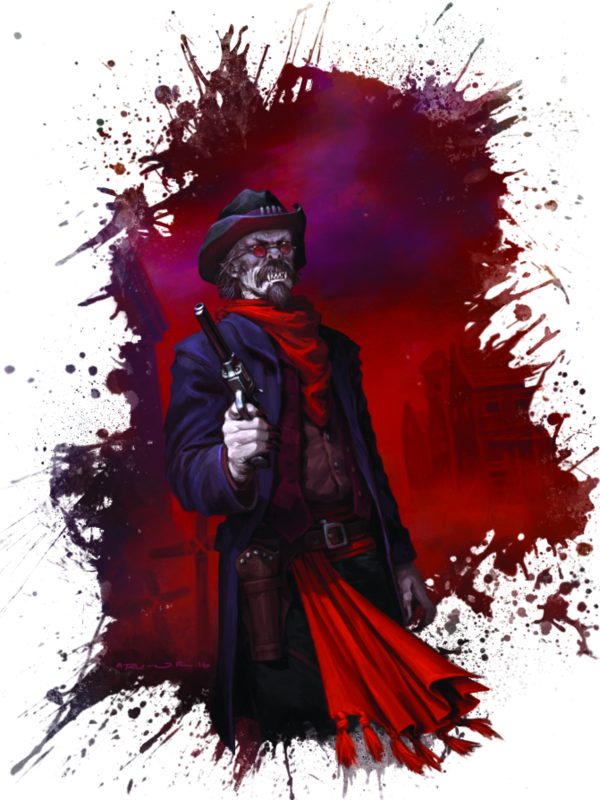 This model is the focal point of your Posse, and has access to various arcane powers as well as the ability to raise a number of Revenants before each game. The Revenants themselves allow the Dark Confederacy to outnumber most opponents and, being undead, are terrifying to face and hard to kill, but slow and mindless. The Necromancer must control them from a distance – they never activate by themselves, instead acting when the Necromancer does. This allows for some unique tactics for multiple activations that no other Posse can match. If the Necromancer falls, however, the Revenants collapse and become harmless corpses once more. 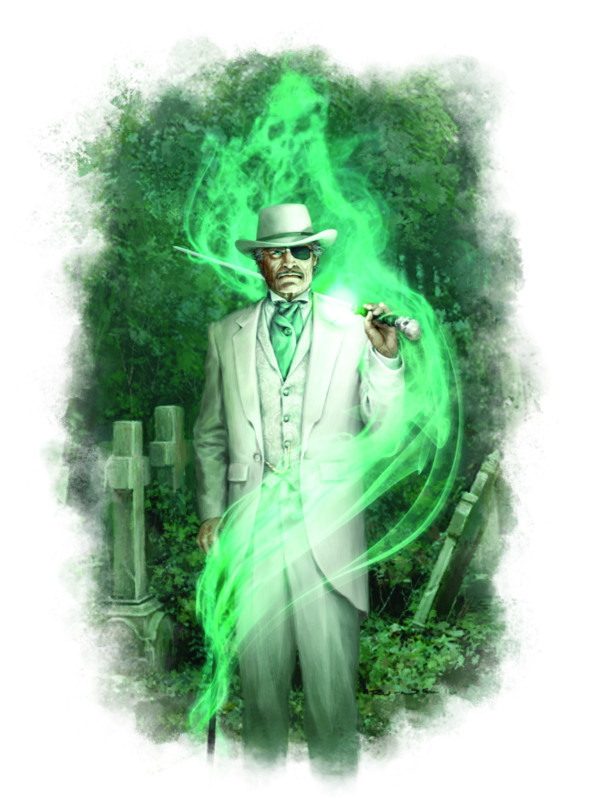 The Necromancer may also summon a Vengeful Shade – a ghostly Confederate that excels as an assassin, passing through solid obstacles in the hunt for mortal targets. To see the miniatures available for the Dark Confederacy, head over to the Northstar Military Figures website. 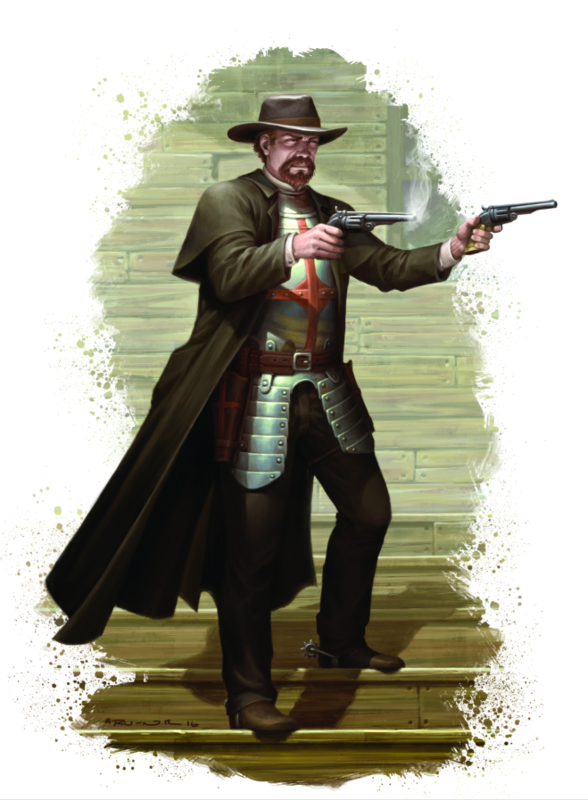 Dracula's America: Shadows of the West is an upcoming skirmish game of gothic horror set in an alternate Old West. It is due to publish in August.